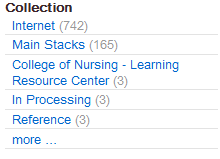 VuFind, the library catalog, was recently tested and upgraded for the new semester. The most noticeable improvement is a more detailed set of values in the Collection facet of the search results. You can now do things like limit your results to Special Collections, main stacks, etc. Other changes are minor bug fixes and behind-the-scenes adjustments that are unlikely to significantly affect day-to-day use. The section below will take you through the changes. The library catalog, searchable through the “Books & more” option on the Search tab of the library home page, contains a mix of useful materials. Most are physical books and journals owned by the Library, but some are links to online materials such as free government documents. It is usually helpful to have a large variety of options available in the catalog, but sometimes things can get in the way. This week’s upgrade to the catalog system adds a new option that should help you find exactly the items that you need. 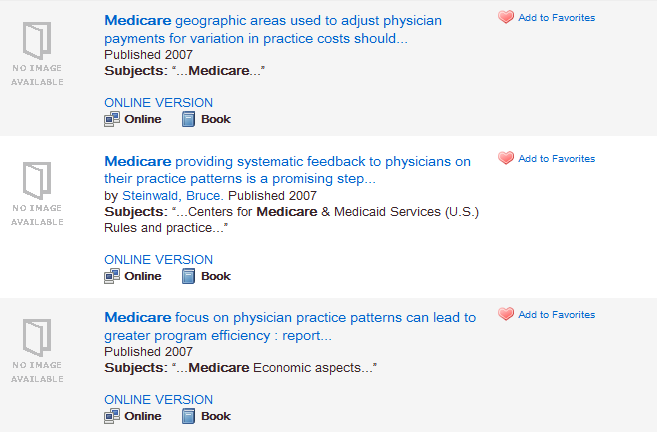 The top three results show up as books, but they are actually online articles, and none of them are especially recent. 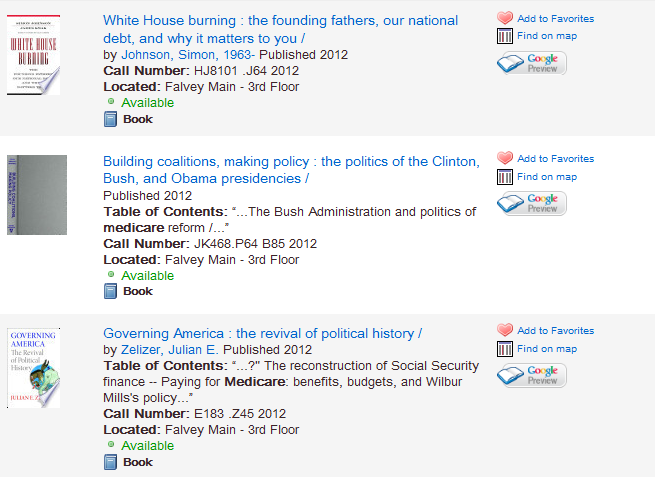 The top three results are all books from 2012 that you can access in the Library. 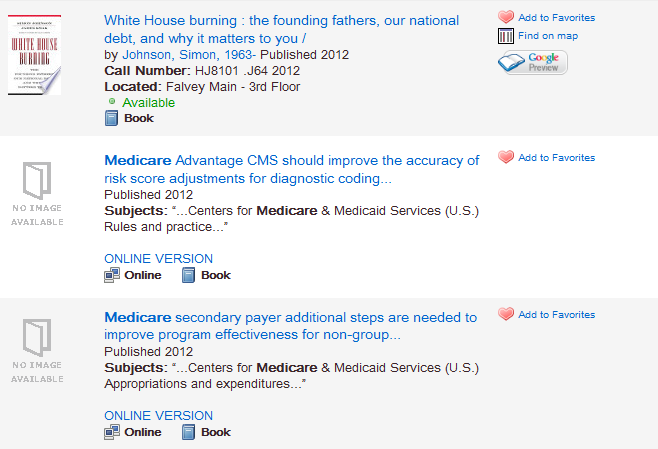 Of course, these books may not cover the aspect of Medicare that interests you. That’s okay! Because you filtered out the unwanted Internet resources, the other filters in the “Refine search” box should now show more relevant options, making it possible to further refine your search until you find exactly what you need. Let us know what you think about these new enhancements in the Comments section below. Demian Katz , a library technology development specialist at Falvey, is a major contributor to the enhancement of VuFind.